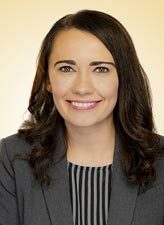 Amber Manson is a personal injury attorney who joined the law firm after working as a law clerk and paralegal at Edgar Snyder & Associates for two years. Prior to that, she worked at a Pittsburgh firm doing personal injury and family law. She graduated from the University of Pittsburgh School of Law where she participated in the Unemployment Compensation Practicum representing indigent clients for which she received the CALI Excellence for the Future Award. While in law school, Attorney Manson also served as a first-year law student mentor, as a Legal Writing Teaching Assistant, and participated in pro-bono legal work. Why did you choose personal injury law? Attorney Manson earned her Juris Doctor from the University of Pittsburgh School of Law. She earned her undergraduate degree in History from Edinboro University of Pennsylvania. Attorney Manson is licensed to practice law in the state of Pennsylvania. November 2018: Attorney Manson spoke live about why drivers need to use extra caution on the roads the week of Thanksgiving.